Innisfil, which is a home for 36,000 people, is far from the first jurisdiction to implement such a solution. The US state of Ohio accepts tax payments in Bitcoin as of November 2018 for companies, and hopes to allow individuals to do so as well “eventually.” Other places that accept tax in crypto include Zug and Chiasso, two Swiss municipalities, and South Africa, all with varying amounts of success. However, it seems that paying taxes in crypto is not popular at this stage. Meanwhile, gift card provider Bitrefill announced that they will enable their users to purchase of AirBnB gift cards using Bitcoin, Ethereum, Litecoin, Dogecoin, and Dash. However, this service is currently only available for US residents, and redeemable with a US-based payment method. Further constraints include the fact that these gift cards can only be used for reservations lasting less than 28 days, and can only be purchased in denominations of USD 25, USD 50, and USD 100. 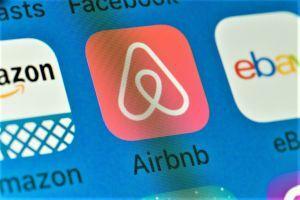 After the purchase, users will get a voucher code from AirBnB, along with instructions for use. Also, last week, the company announced that their users can now purchase Netflix, a major streaming service, subscription. On the other side of the coin, popular online streaming service Twitch has recently halted support for Bitcoin and Bitcoin Cash subscriptions without an official explanation. The community is speculating that it could be due to lack of demand – however, there is currently no data available that could support this theory. Other reasons, as put forward by the community on Reddit, may include price volatility and the fact that many streamers were simply unaware that they could be giving and accepting donations in crypto.